Receive quarterly orders of our finest wines throughout the year. If you sign up today, your first Wine Club order will be the Spring 2019 package. Your account will be charged on May 1st. As a Landmark Club Member you will receive three different varietals of wine quarterly that have been hand –selected for you by our winemaker and owners. You have the option to pick-up your wines at Boordy or have them shipped directly to your door. After submitting your online application, your card on file will be charged for the current wine club package which will immediately become available for pick-up or will be shipped (depending on your membership choice). If you sign-up within 30 days of the NEXT quarterly release, we will wait and charge your account at that time. Emails will be sent to members several weeks before the billing date, detailing the quarter's wines, prices, and pick-up or shipping dates. On the first day of each quarter, your credit card on file will be charged for that month's wine selection.By enrolling in Boordy's Landmark Club you are committing to a minimum of two quarterly packages. Early cancellation will result in a fee of $60.00. Your Landmark Package is available at Boordy on the first day of each quarter (February, May, August & November) and you have 60 days to pick it up. After 60 days, your wines will be shipped to you and the card on file will be charged for standard shipping and handling. Your Landmark Package is typically shipped on the 2nd Thursday of the quarter (February, May, August & November). All orders travel FedEx Ground. At delivery a signature by an adult over 21 years is required (FedEx cannot ship to a P.O. box). 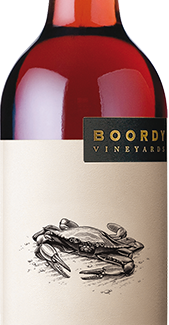 Boordy is authorized to ship to the following states: CA, CO, DC, FL, GA, IL, MA, MD, MO, NC, NH, NY, PA & VA.
Boordy will not be responsible for shipping charges due to misdirected wine shipments or failure to provide an adult signature. 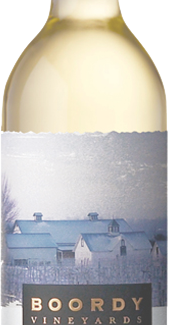 Shipments will be held at the winery in days of extreme heat; we will notify you by email if your order is placed on a weather hold. Boordy Vineyards reserves the right to change or amend the Wine Club Terms & Conditions at any time.